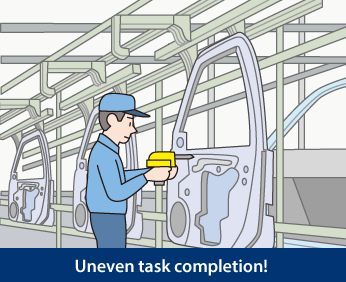 Workers along the assembly line were not aware that they were completing tasks at different rates, causing the line to progress at various speeds. 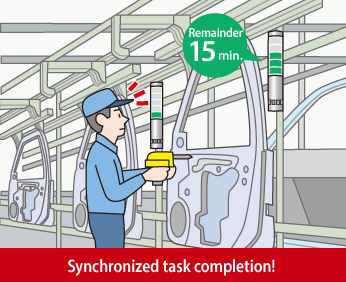 Now each worker along the line can know how much time is left to minimize delays and allow the line to flow more consistently. 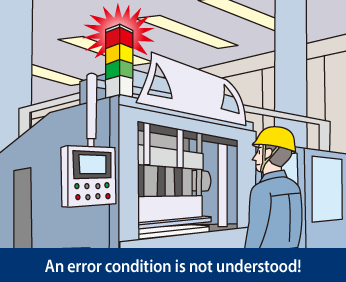 Only circumstances of the equipment’s abnormal condition were displayed, but neither a threshold point nor elapsed time from an abnormal condition was understood. 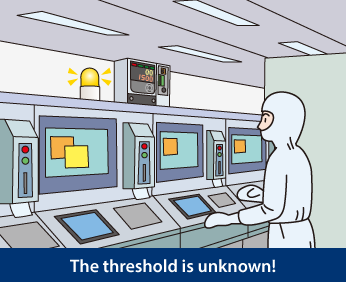 The threshold point is displayed in real time and can be seen from a distance. By including an elapsed time display, equipment priority can be grasped and prompt action can be made before abnormalities arise. 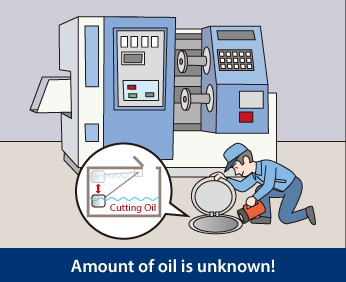 When checking the capacity of the cutting-fluid tank, visual confirmation is made for the in-ground tank by installing floatation devices, but the time and effort to check has a delay. 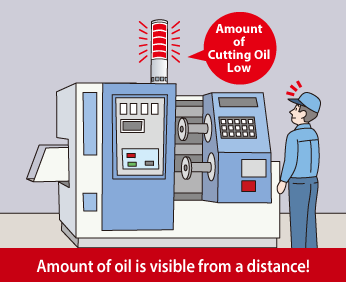 The amount of cutting fluid is made visible in real time and can be seen from a distance, which allows multiple machines to be monitored at a glance and appropriate responses can be made. 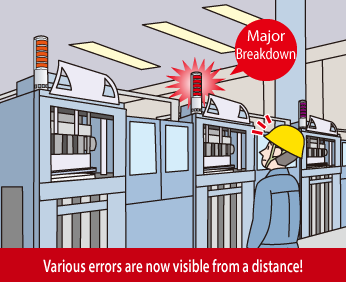 Abnormalities for equipment was displayed and could be seen from a distance but its severity could not be determined unless extra time was taken to approach the machine. Now equipment can be checked for abnormalities at a glance from a distance, and when all tiers light up, prompt attention can be given.